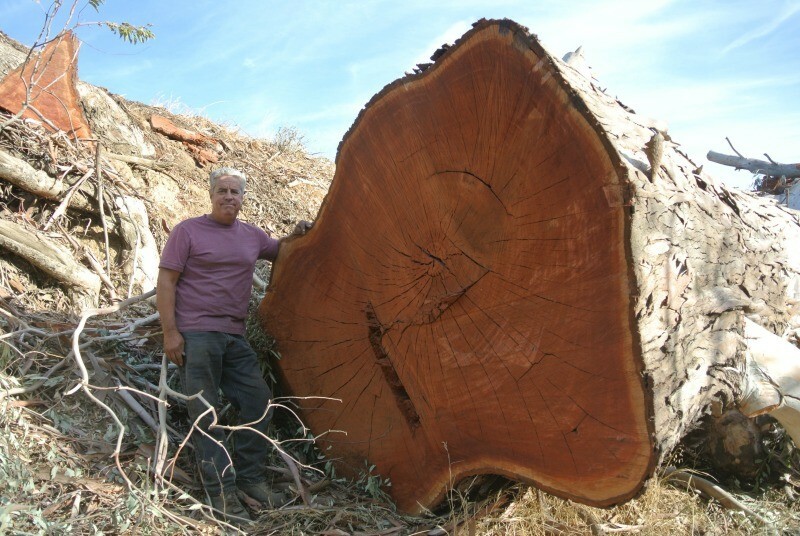 We were contacted by a farmer in Northern California because he wanted a large Red Gum Eucalyptus tree removed. 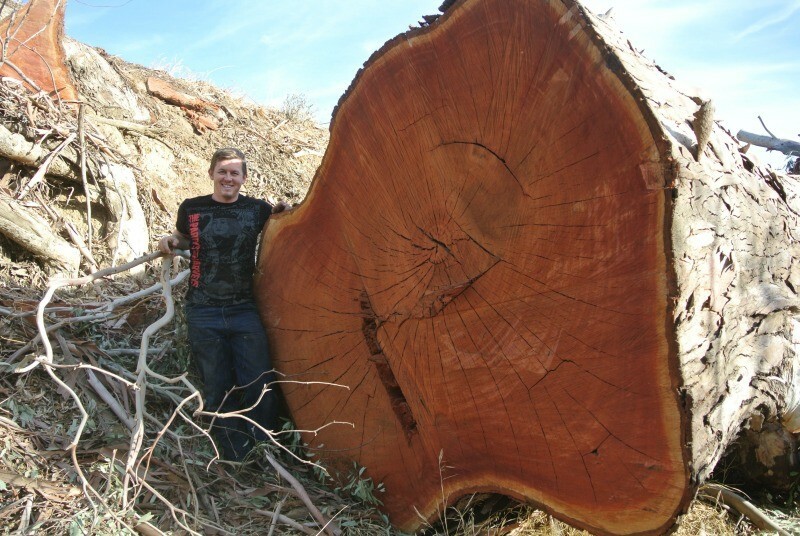 The farmer said it was a large tree, but that couldn’t have been more of an understatement. 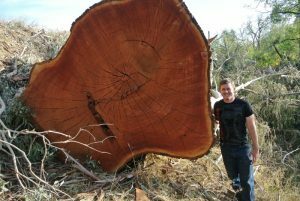 This tree was absolutely massive. 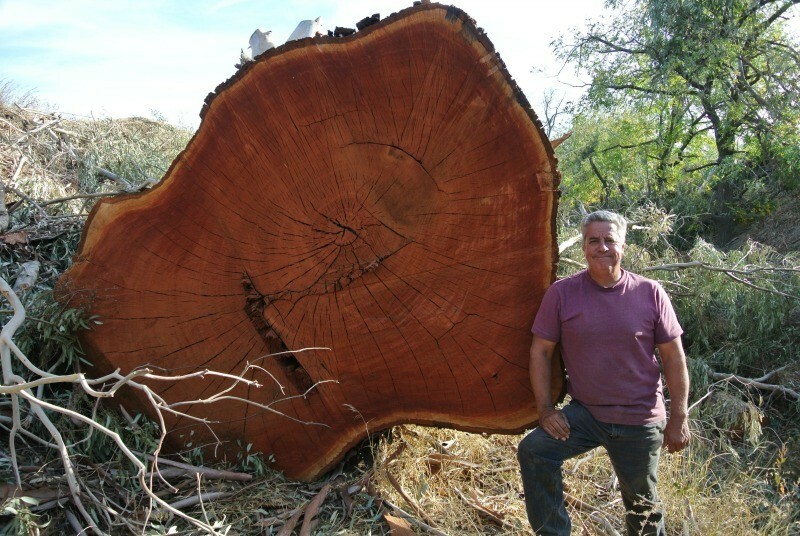 It stood for 150 years and was over 120’ tall and measured over 20’ around. It towered over a large almond orchard and was preventing a large portion of it from receiving the sunshine because of the huge shadow that is cast. 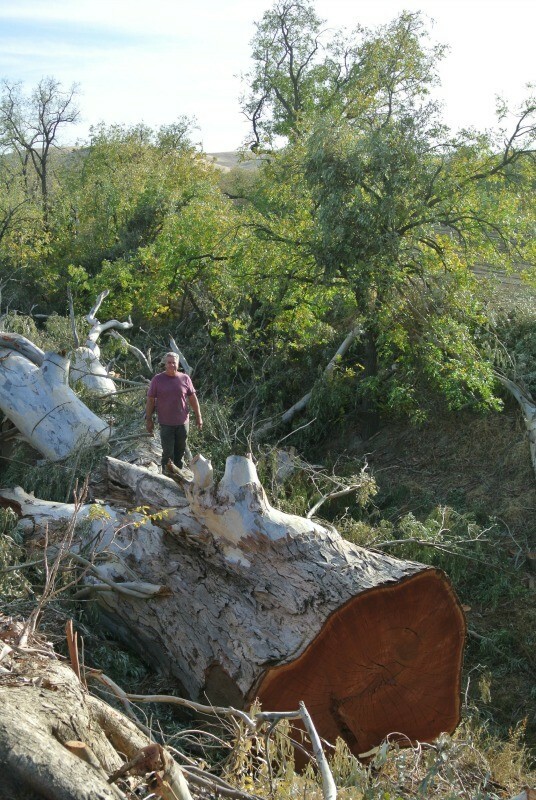 Dead branches began to fall out of the top and it became a death trap waiting to happen for the farmers. 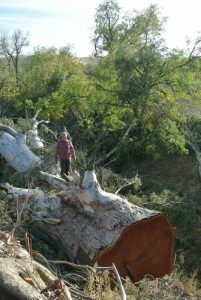 Now that the tree is removed, the orchard will grow healthier and the farmers won’t have to worry about falling branches. This was one of the largest trees that we have harvested in 30 years of business. 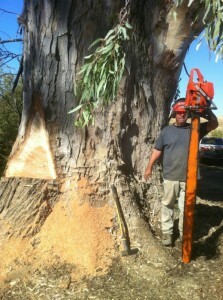 In the picture below that is a 6’ bar on our Husqvarna chainsaw. 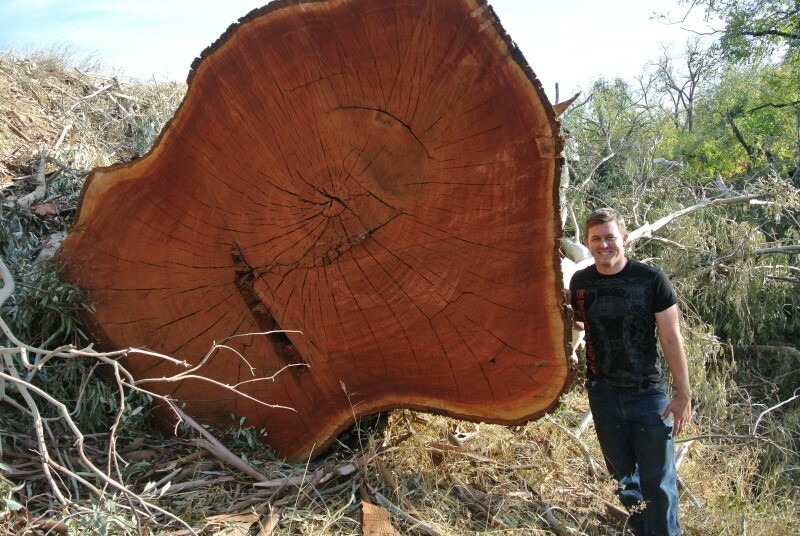 Click to see our Red Gum Eucalyptus products.